Shreejana is a new member of AeroSoftCorp, a New company in making Aviation Blogs in Asia. Shreejana belongs to the country of gautam buddha having unique flag of triangular shapein the whole world, Nepal. pilot training from flight training services(FTS), johannesburg, south africa. 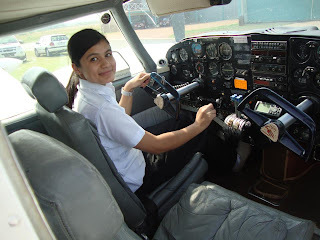 she now,is a holder of commercial pilot licence. Shreejana always desires to keep going.after her CPL,she is now studying bachelors in business science(BBS) 2nd year. person should do the things in better way than doing the things that are supposed to be good.